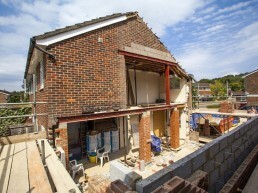 A single storey extension is almost complete - Flint and Dean Ltd. 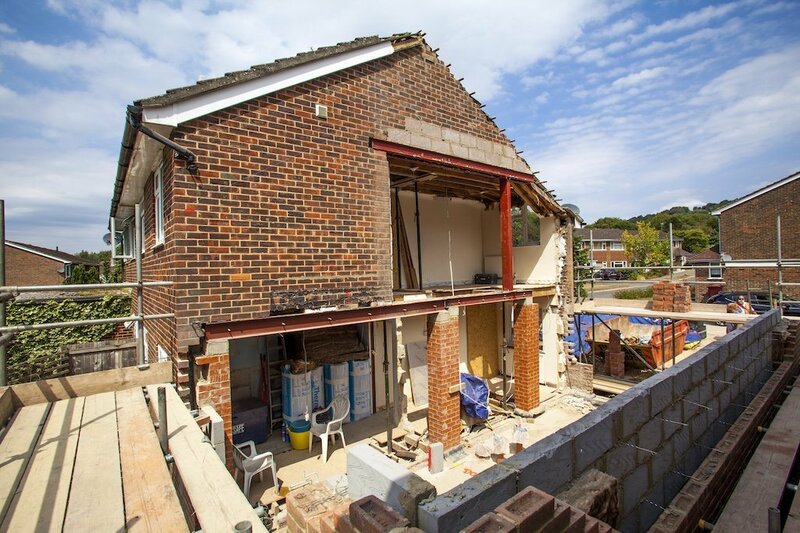 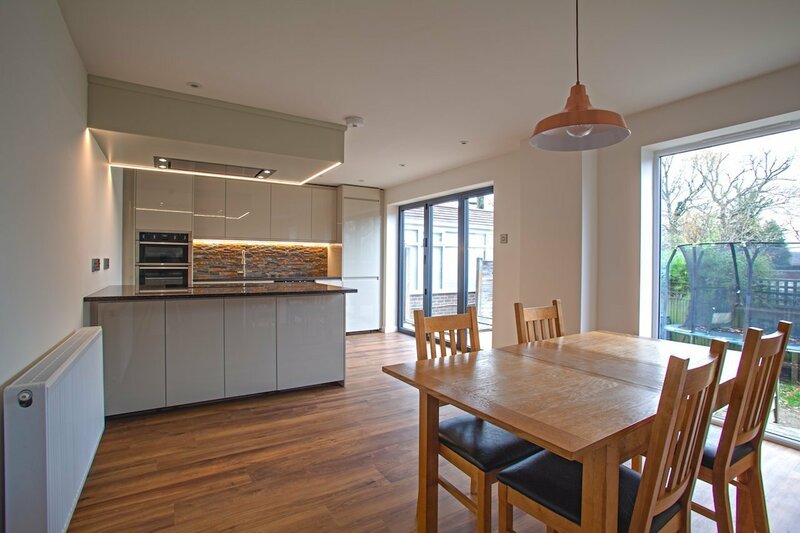 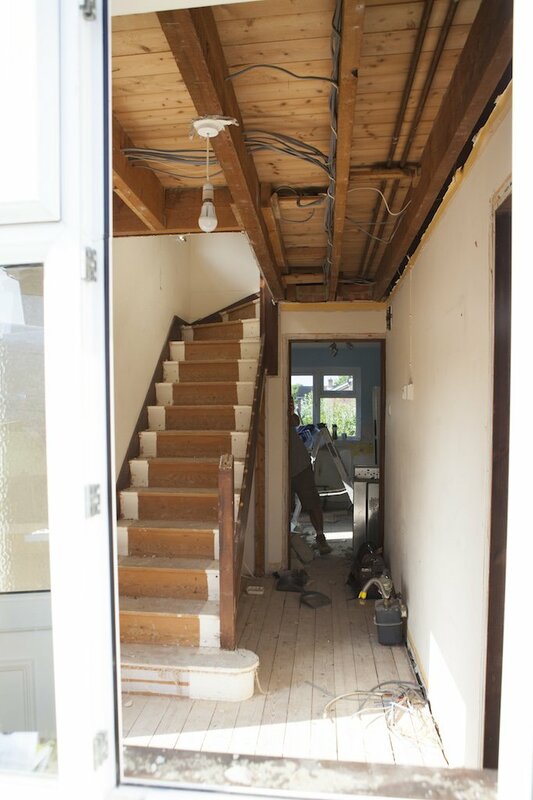 In Spring 2018, we were appointed to construct a single storey extension and make internal alterations to a semi-detached house in Fernhurst. 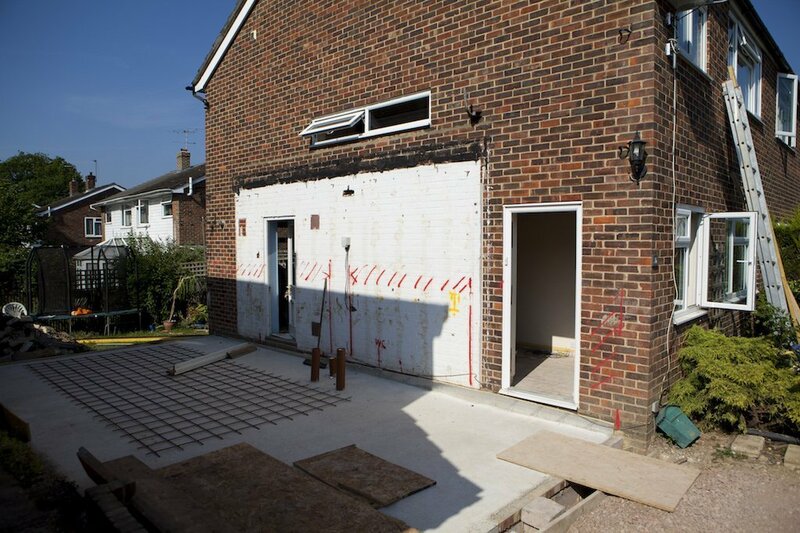 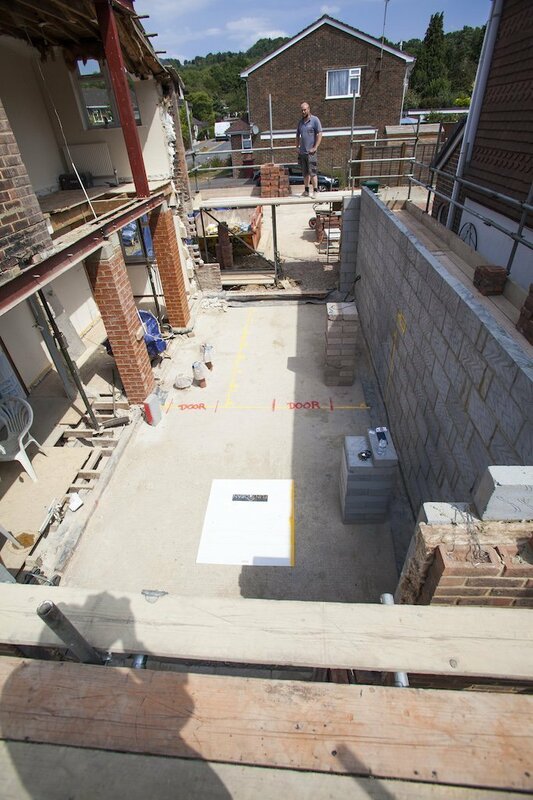 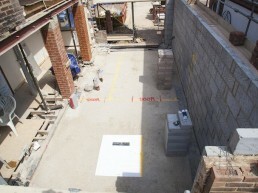 The property’s detached garage had already been demolished allowing us to immediately begin laying the foundations. 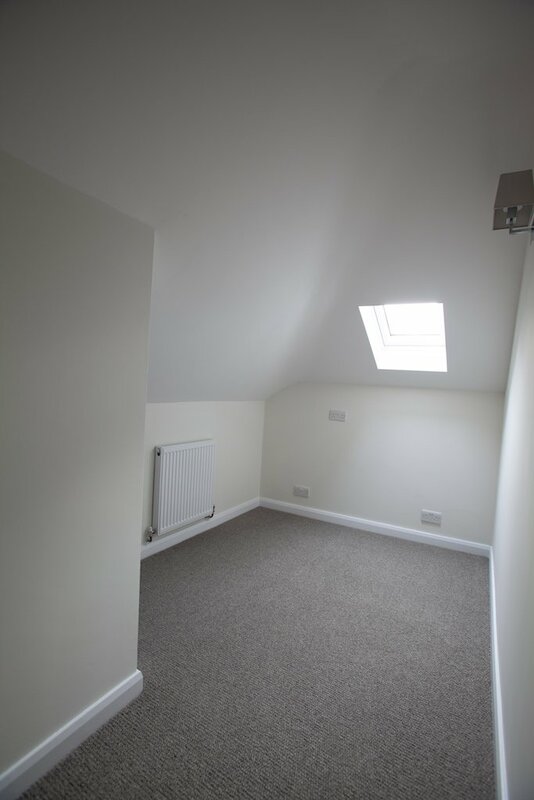 The design for the extension featured a hipped roof and required the relocation of the staircase to extend the third bedroom. 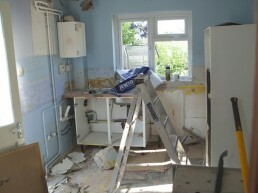 Openings to the side of the house were also needed to extend the kitchen and create a new utility room. 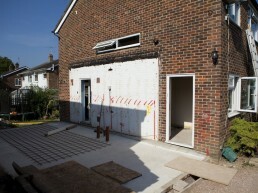 So, with the weather on our side, the decision was taken to create these openings first. 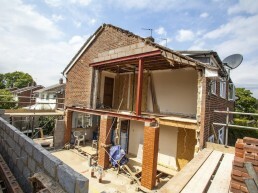 Often, the structure of an extension is built before walls are knocked through. 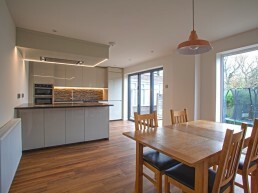 The kitchen/diner features bifold doors and a full height window. 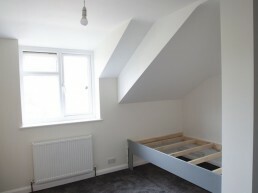 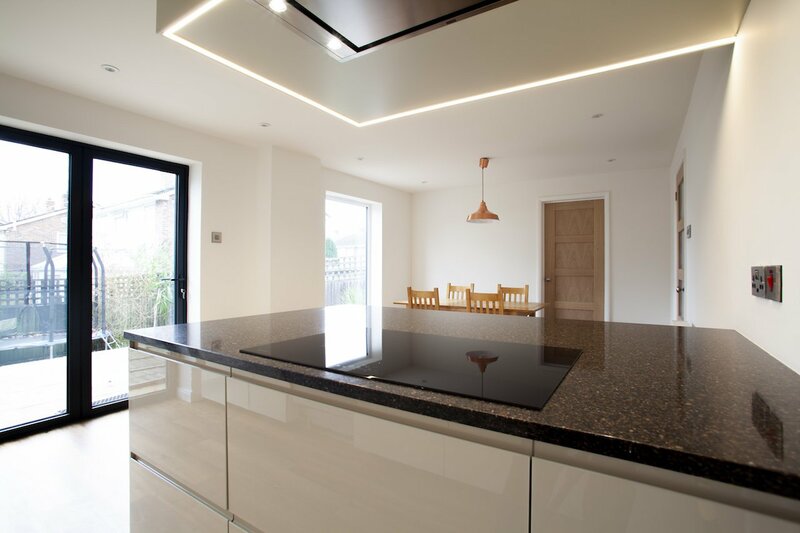 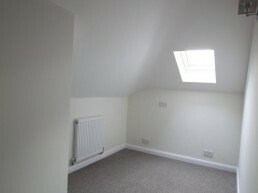 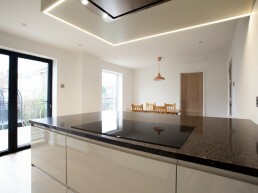 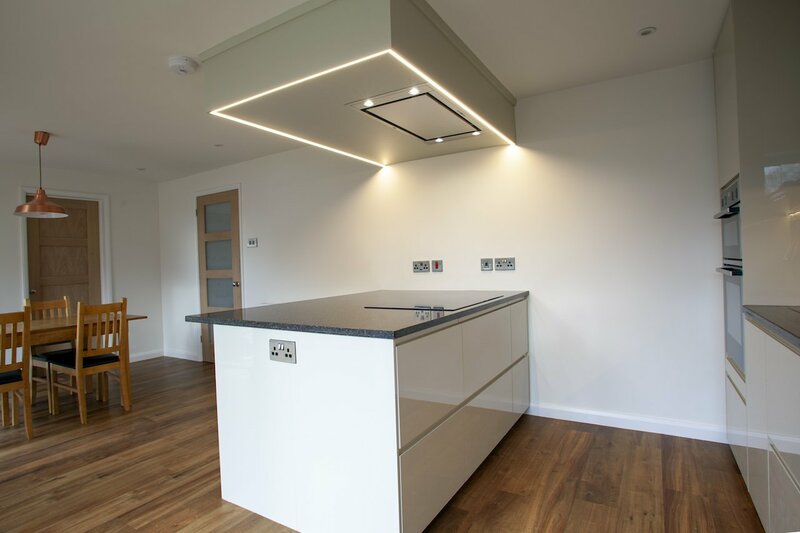 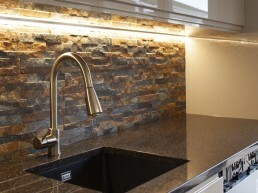 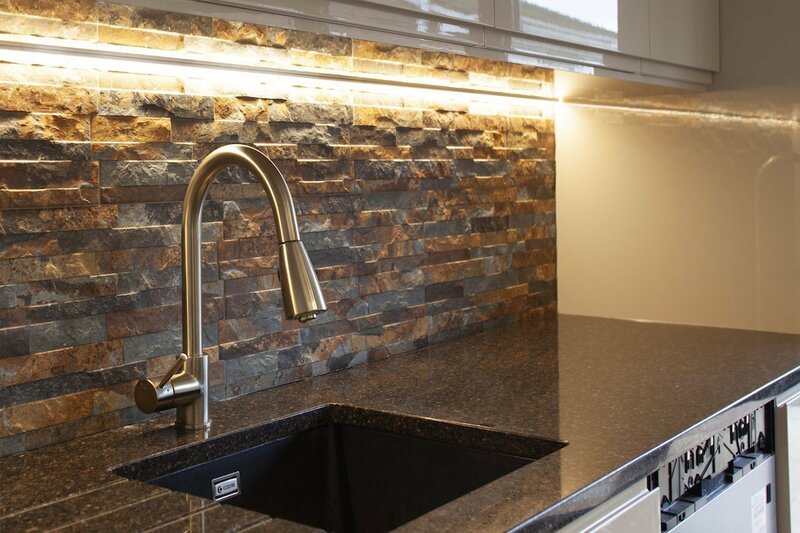 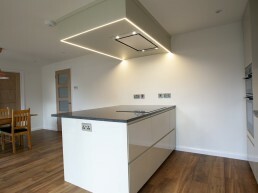 The dropped ceiling was installed to create the space necessary for the extractor fan. 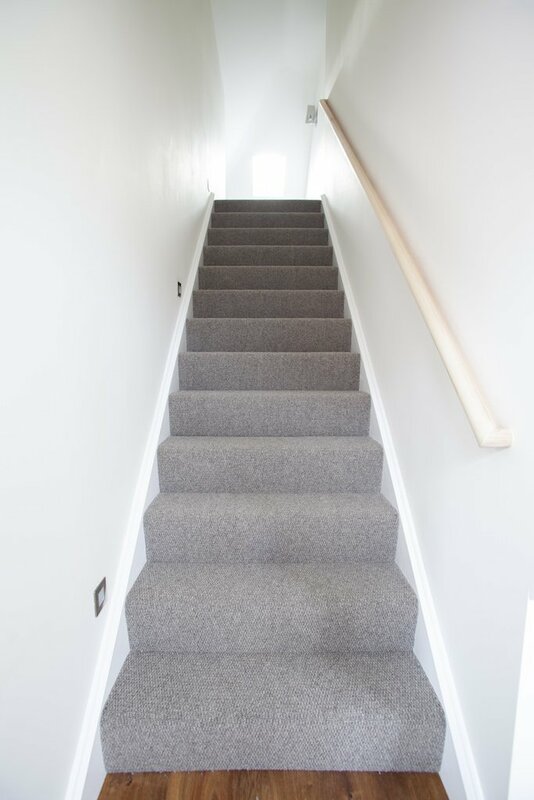 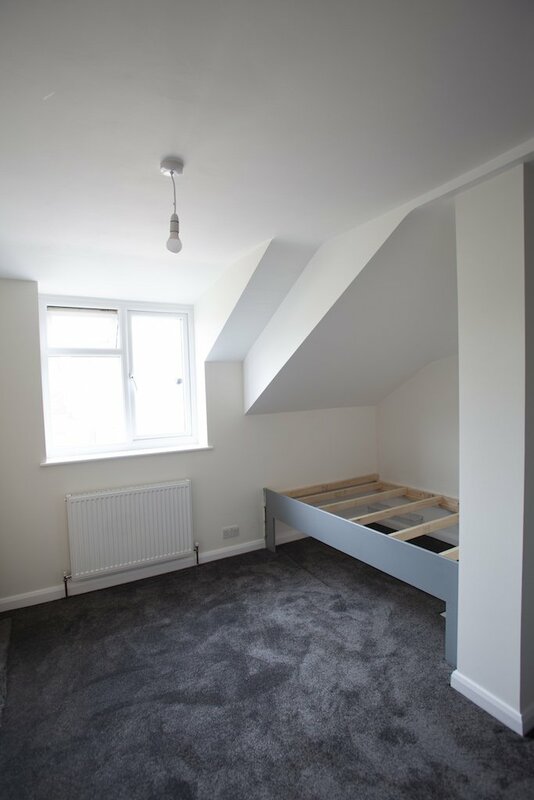 On the first floor, the third and smallest of the bedrooms was extended into the space created by the hipped roof and by the relocation of the existing staircase. 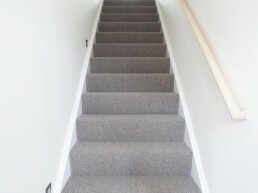 Similarly, the landing at the top of the stairs is large enough to serve as an office space. 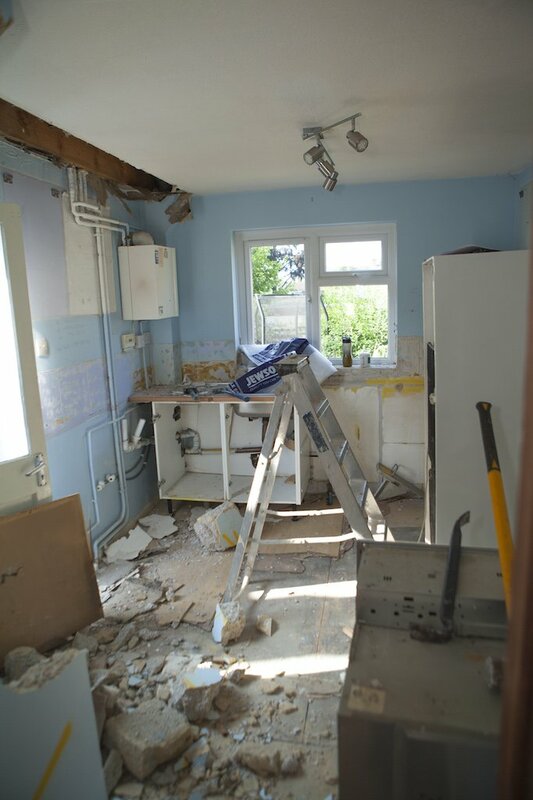 Whilst on site, we took the opportunity to upgrade the property’s heating system, installing a new boiler and radiators throughout. 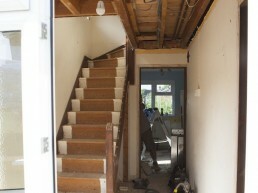 To finish the property’s transformation, we will be building a new driveway and porch to the property. 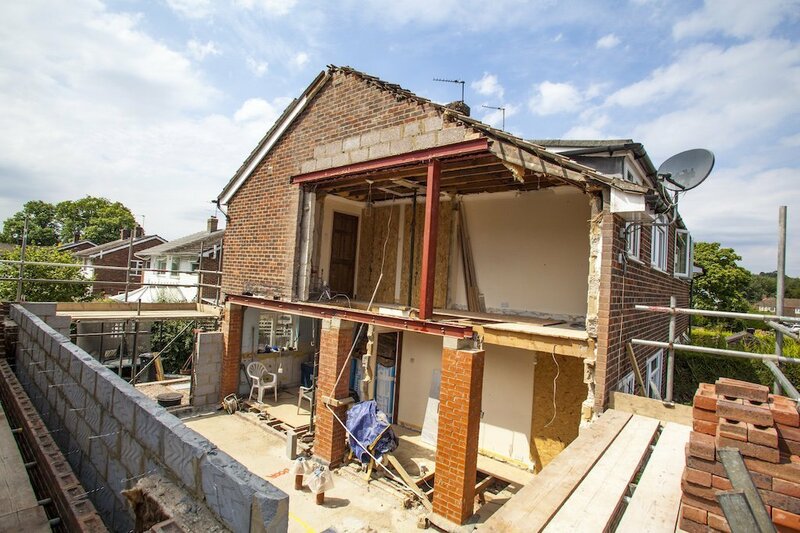 Look out for the update in 2019.